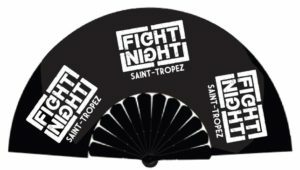 an especially tasteful gift are these customisable fans. our fans are definitely worthy of being called beautiful, and as a promotional gift it will give your message or company some extra flair. perfect for when you want to give your event an eastern vibe, or for when it’s really warm outside. a fan isn’t only fun, it can also be pretty useful. these fans are made of a nice quality fabric and sturdy plastic. they’re fully printable en hat gives you the opportunity to deliver your message in exactly the way you want. you can use a logo or just the text. 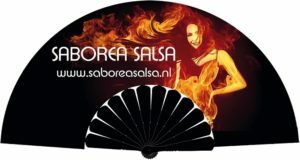 good quality fans made of fabric and sturdy plastic. to be printed in 1-3 colors or in full-color. these are the different colors of fabric and plastic we can use.